Before you start to generate Facebook App id. Take a look on facebook development. Facebook allows you to obtain a token to access Facebook’s API on behalf of someone using your app. You can use this feature in place of building your own account system or to add Facebook services to your existing accounts.The Facebook SDK for Android provides methods to implement Facebook Login for your app. And to access this feature into your app you need facebook app id. Now start to generate facebbok id , you should need a facebook account as a developer or you can use your personal account also. Step1: Goto facebook developer site and login. Here is facebook developer link https://developers.facebook.com/apps open this and login to developer account. 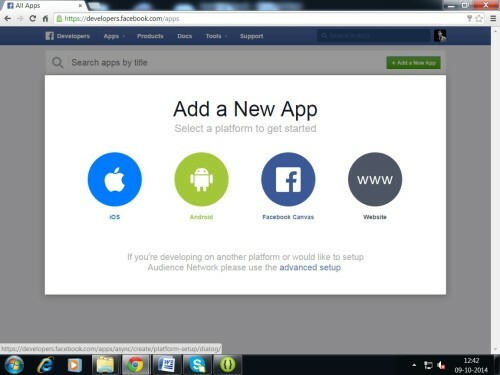 Step2: click on “Add a New App” and than select your app platform, here we are using Android so click on “Android”. 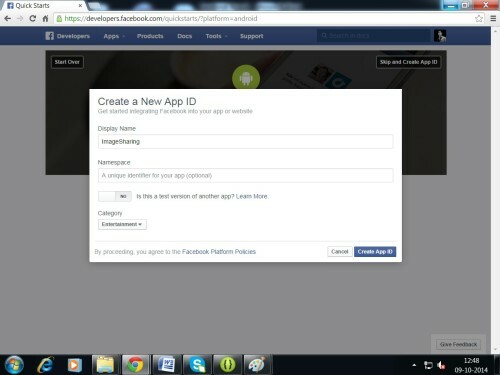 Step4: Your Facebook App Id is generated, copy this app id and used for your app development. Step5: If you need facebook app secret key than click on “show” button and you will get your secret key. Step6: Goto to https://developers.facebook.com/docs/android and download facebook api. 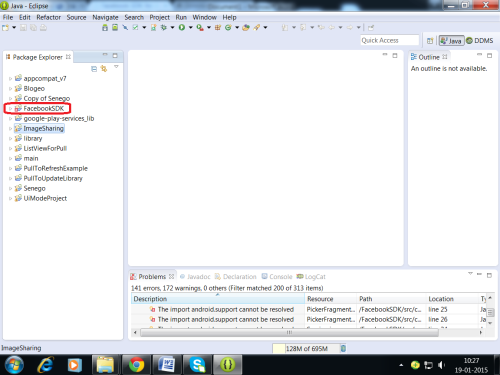 Step6: After download facebook sdk extract it. You will get facebook api project import it to you workspace. 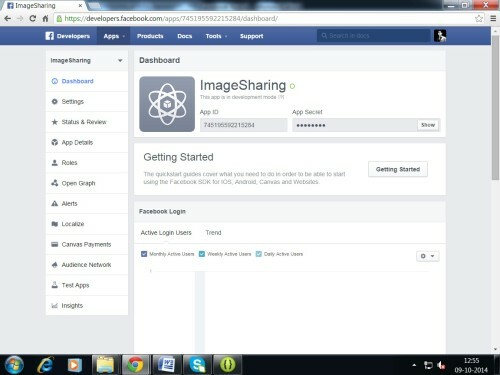 Step7: Create a project name ImageSharing and add facebooksdk lib into your project from properties. And write this codes. //this function is to get hash key of your project. //you can check it in log. Now finally in your manifest.xml write this codes.